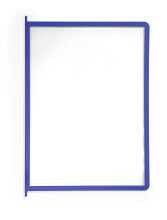 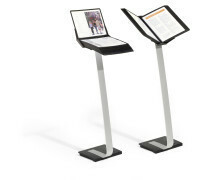 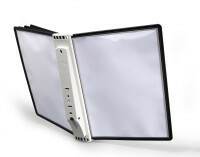 Sturdy table stand with 10 SHERPA® display panels in A4 format. 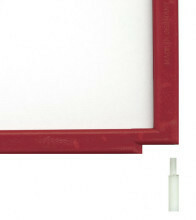 Complete with 5 x red and 5 x black panels or 5 x grey and 5 x black panels. 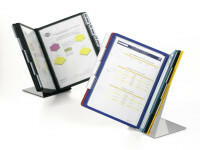 Table stand with 20 SHERPA® display panels in A4 format (10 x grey and black). 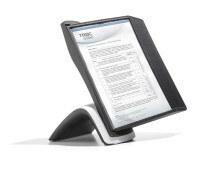 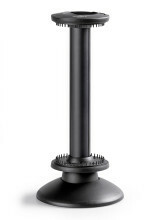 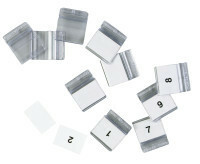 Rotating table stand with 10 SHERPA® display panels in A4 format. 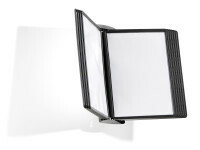 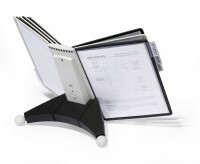 Table stand with 10 SHERPA® PANEL display panels in A4 format (10 panels in black). 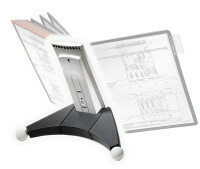 SHERPA® soho is an economical, space saving desk system. 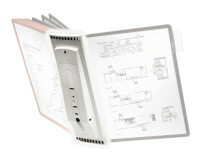 The unit is ideal for use in the small office or home office. 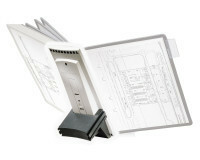 The unit is ideal for holding price lists, product information, frequently used telephone numbers etc. 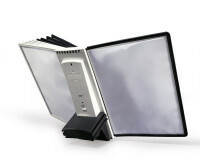 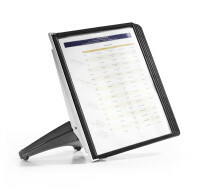 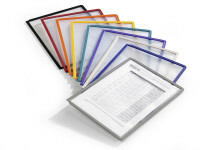 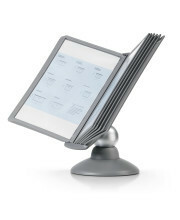 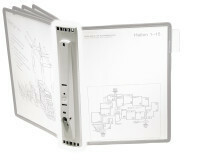 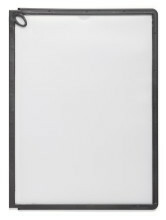 Rotating display system complete with 40 black A4 display panels , 40 index tabs and a weighted, non-slip base. 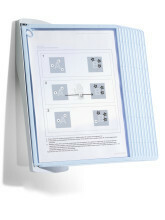 Complete set consisting of a desk clamp and 10 black A4 PP display panels. 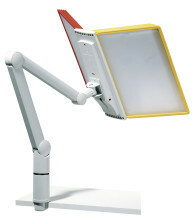 The desk clamp length is adjustable up to 78 cm and can be secured to desk and table tops with a thickness of up to 50mm. 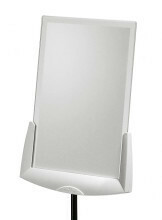 Desk top display unit with antimicrobial properties. 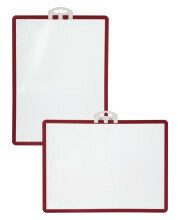 Complete with 10 A4 SHERPA® BACT-O-CLEAN PANELS.